Goldman Sachs (GS) is expected to report a sharp drop in third-quarter earnings before Tuesday's opening bell, due to a decline in trading activity in a market that's been light on volume and volatility for months. Goldman is forecast to report adjusted earnings of $2.28 a share, according to data from Thomson Reuters, a steep drop from the profit of $5.25 the investment bank booked in last year's third quarter. Revenue, on average, is seen declining to $8.09 billion from $12.37 billion a year ago, according to Thomson Reuters. 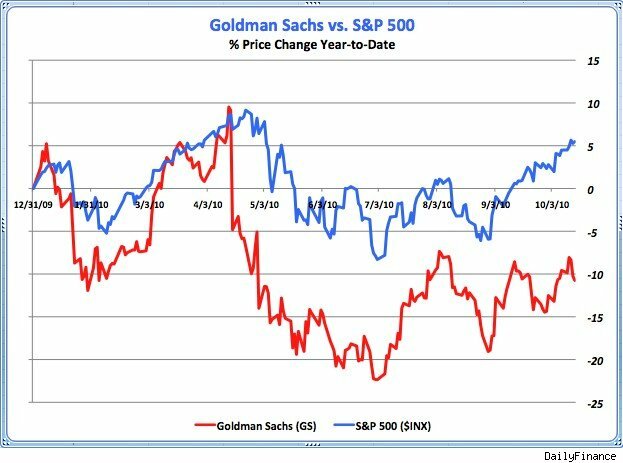 Analysts have been cutting their estimates on Goldman Sachs since midsummer as the market has undergone a long period of usually low volume. Meanwhile, the investment banking industry saw a slowdown in capital markets and deals activity. Citigroup (C) on Monday posted third-quarter revenue that was short of Street estimates. Citi's net income fell 20% from the second quarter, due in part to lower revenue from its Securities and Banking division, where income declined 17%. Dow component JPMorgan Chase (JPM) last week reported disappointing third-quarter revenue, hurt partly by a drop in fees from underwriting stocks, bonds and advising on deals. However, the drought in trading activity may already be reflected in Goldman Sachs's current stock price, wrote Brad Hintz, an analyst at Sanford Bernstein, in a note to clients ahead of the report. "It is no secret that trading was weak or that the retail investor has not re-embraced the equity markets," Hintz said. More important is Goldman's outlook for mergers and acquisitions underwriting for the remainder of the year, the analyst wrote. 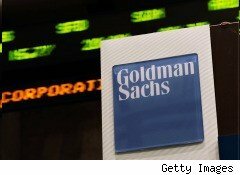 Shares in Goldman are off about 10% for the year to date, underperforming the broader market by a wide margin. See the chart below.